Korean Hangul, Japanese Hiragana or Kanji, or Chinese Mandarin Pinyin made easy! LingoDeer is made for learners from outside of Asia and new to its mysterious and beautiful languages. Learning your favorite Asian language(s) within one app is now a dream come true. Designed by a team of professional language teachers, the interactive lessons and review exercises will train your reading, listening, speaking and writing skills in just 10 minutes a day. - The above prices are for U.S. customers. Pricing in other countries may vary, and changes may be converted to your local currency depending on your country of residence. - Any unused portion of a free trial period will be forfeited when you purchase a subscription. Check out the new summary page at the end of the lesson and the review session. Got feedback? Message us in the app! Amazing! Also, something I’d like to be fixed. This is hands down the best app I’ve used for learning a different language, Japanese specifically. I could go on and on, it’s just incredible. I tried learning Japanese last summer and failed miserably, nothing I used helped work for me. This summer I tried going back to it, and I used Duolingo at first. It was good, but I wish I had used this app sooner! Someone recommended it to me and I fell in love instantly! It makes it so much fun, and maybe it’s since I’m just passionate about learning the language, but still! It has all these fun lessons and games, and makes everything very interesting. I’ve only used it for Japanese, but from the rest of the reviews, I can see it’s an amazing app all in all, no matter what you want to learn! 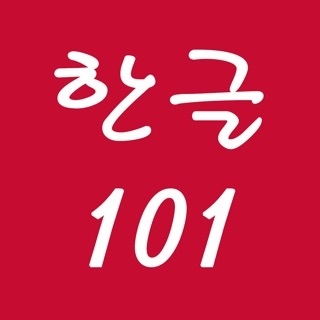 I highly, HIGHLY recommend this app for anyone wanting to learn a new Asian language! And I want to give a big thanks to the developers! You guys have done an amazing job! I love this app with all my heart. It is so good at teaching me Japanese and this is the only app that has the right teaching style for me. It’s the perfect blend of fun and structured learning, and let alone it is all completely free besides a few in app purchases. This has been helping me study Japanese way better than any book can, however recently this app has been really laggy and hasn’t been responding up to par. My progress bar isn’t loading and progressing at the same speed as I am learning and it just stays empty, my achievements are screwed up (I have been at level 10 for a couple days and still haven’t gotten my achievement for reaching level 10 yet) and usually when achievements do come they are always a day late, I get random achievements every so often like “congrats on reaching 5 hours of study time” even though at the point I was already at 8 hours, and recently my review section has only been including 5 lessons instead of the 10+ I have completed and need to review for. Like I said, this app is the best thing that has come into my life, but I can’t rate it the 5 stars it deserves unless these bugs are fixed. I will still thank all the developers for putting their time and money to make this app for all those who want to learn its selection of languages.